Hi I'm "DJ Kevin" from Hart To Hart Mobile DJ and thank you for visiting my website! 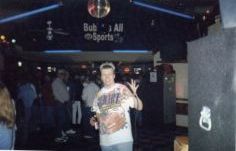 Being a Disc Jockey I have entertained thousands of events and parties throughout Wisconsin for over 20 years. 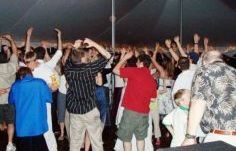 Everything from weddings, anniversaries, birthday parties, charity benefits, karaoke, opening for national acts, class reunions, corporate functions, campgrounds, etc., you name it! I have learned to listen to you the customer! It’s not always what you say that people will remember, it’s what you do. My goal is to entertain people and give them a reason to want to come and watch me perform. For example, when people have a special song request I try very hard to fit it into a music theme and get it played. I can't begin to tell you how many compliments I've received from both young and old people that were surprised that I ACTUALLY played their song request. I intend to keep everyone involved at your event, young and old. Whether it's a special song from years ago, the bubble machine and games for the kids, or that brand new dance hit that came out just 2 days ago I will keep it happening! I strive very hard to keep my DJ system & music up to date, using only professional studio quality sound and lighting equipment. About 75% of my bookings come from word of mouth and people who have seen me perform before. 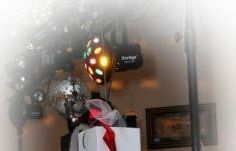 If I'm already booked on a date that you request I will try to recommend another experienced DJ for you. Please feel free to email me at djkevinfun@gmail.com or stop by and see me at event in your area. (Sometimes the event venues are mentioned on several northeast Wisconsin radio stations) I would enjoy meeting you and discussing your upcoming event!